Everyone's favorite flying car comes to life in the musical adaptation of the beloved family film. Take a fantastic musical adventure with an out-of-this-world car that flies through the air and sails the seas. 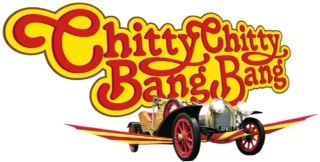 Based on Ian Fleming's children's book, and featuring an unforgettable score by the Sherman Brothers (Mary Poppins), Chitty Chitty Bang Bang is one family-friendly blockbuster that audiences will find "Truly Scrumptious".